Updated 1 p.m. | Posted 12:06 a.m.
St. Paul -- As jury deliberation in the trial of St. Anthony police officer Jeronimo Yanez moved into its third day Wednesday, family and friends of Philando Castile waited nervously for a verdict, and law enforcement prepared for the possibility of demonstrations. Yanez is charged in the traffic-stop shooting death of Philando Castile in Falcon Heights on July 6. He faces charges of second-degree manslaughter and two counts of dangerous discharge of a firearm. Castile's girlfriend, Diamond Reynolds, and her 4-year-old daughter were in the car at the time of the shooting. Activists from a number of groups have called for a demonstration on the evening the verdict is announced. But they're following the lead of Castile's family, led by his mother, Valerie Castile, said Pastor Danny Givens, a minister and clergy liaison to Black Lives Matter Minneapolis. "The most important thing that's going to happen after this verdict, whichever way it goes, is that we're first and foremost going to wrap our arms around Valerie Castile and her family," Givens said. "Before we move and do anything in this community on behalf of her family, we have got to be sure that we move and have action for them." Some police departments in the area have started to prepare for the possibility of protests. While there have been no protests during the trial, several demonstrations cropped up around the Twin Cities last summer after Castile's death: People camped outside the governor's mansion. They marched in the streets. They took over a Falcon Heights city council meeting. There was a children's march. And Castile's family handed out cupcakes at a street festival to mark what would have been his 33rd birthday. The gatherings were largely peaceful, but they were big. Streets had to be shut down. Crowds had to be managed. One turned violent when protesters marched onto Interstate 94 in St. Paul. So police are preparing. "Out of an abundance of concern, law enforcement agencies are beginning to develop, and in some instances finalize, plans for civil unrest following the trial," then-Maplewood Police Chief Paul Schnell wrote in a memo last month. Maplewood officers were instructed not to ask for time off around the trial. Every officer needed to be fitted for gas masks, said Schnell, who has since retired. In St. Paul, police Cmdr. Josh Lego said his newly formed special operations unit is designed to respond differently to protests. Most demonstrations, he said, are exercises in free speech and not a danger to the public. "How we deal with it is in a layered response," Lego said, "to not consider every assembly a nail that we always bring a hammer to, that's not what we're after." St. Anthony Police Chief Jon Mangseth, Yanez’s boss, said his department will be ready to assist other agencies if needed. "I don't know what to anticipate following the trial or during the trial. We have to be ready in case something happens," Mangseth said. "We have to be in constant communication with our partners in our county level." Outside the courthouse on Tuesday afternoon, Castile's friend John Thompson waited nervously for a verdict. "Hope for the best, prepare for the worst," Thompson said. "What happened to Philando was a crime, it was a crime, so if he's not found guilty of a crime, then this is a crime in this courthouse." Jurors were scheduled to deliberate between until as late as 4:30 p.m. Wednesday. They need to decide on the verdict unanimously. MPR News reporter Tracy Mumford contributed to this report. Star TribuneFollow the StarTribune for the news, photos and videos from the Twin Cities and beyond. Updated 4:35 p.m. | Posted 3:02 p.m.
St. Paul -- Jurors weighing the fate of St. Anthony police officer Jeronimo Yanez told the court on Wednesday they've been unable to reach a unanimous verdict on manslaughter and other felony charges tied to Yanez’s shooting of Philando Castile at a July 6 traffic stop. Judge William Leary responded by telling them to deliberate more. Jurors then went and worked until 4:30 p.m. before adjourning until Thursday morning. Yanez told the court on Friday that he was forced to shoot Castile after pulling him over on a Falcon Heights street because the driver was not complying with the officer's commands and was reaching for a gun. Yanez previously testified he’d stopped Castile because the driver resembled a suspect in a local convenience store robbery days earlier. Prosecutors, however, said Yanez never saw Castile’s gun, never told officers who responded to the scene or to his police dispatcher that there was a gun and shot recklessly, killing Castile. There was a heavier law enforcement presence both inside and outside the Ramsey County Courthouse Wednesday. Deputies were in stairwells and bike officers kept watch out front. 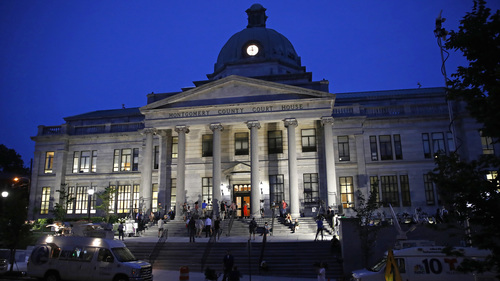 The courthouse had been abuzz for nearly an hour during the afternoon before the jury confirmed around 3 p.m. that it was deadlocked. Defense attorneys and prosecutors arrived mostly one by one. The media lined up, the sheriff's deputy said nothing was happening, people sat down, and then more people arrived. Castile's family and friends gathered in the hallway. Deputies led Yanez's family and friends into courtroom first, then Castile's supporters, then journalists. Jurors filed in and looked tense. A few in the front row looked upset. The judge read portions of the jury instructions to them, emphasizing the portions dealing with the responsibility of jurors to not let themselves be swayed from their honest opinion but to allow their earlier opinions to change if convinced. Yanez's lawyers declined comment Wednesday on the deadlocked jury. Clarence Castile, Philando's uncle, told reporters afterward it's important that the jurors "take their time and come up with a good decision. And that's what's important to me and my family and everybody else who's concerned, that they take their time and come up with the right decision." Asked if he was worried the trial will end in deadlock, he said, "No, I'm not worried whatsoever ... I got faith." The Castile family, he added, "is standing up real strong and just waiting, just like everybody else." Jurors are set to return Thursday at 8:30 a.m. to resume their deliberations. MPR News reporters George Dornbach and Danielle Wong contributed to this story. Judge William Leary III read these instructions to the jurors before sending them back to continue deliberating Wednesday afternoon. They describe the dead man as a gentle, "wonderful presence in our school." 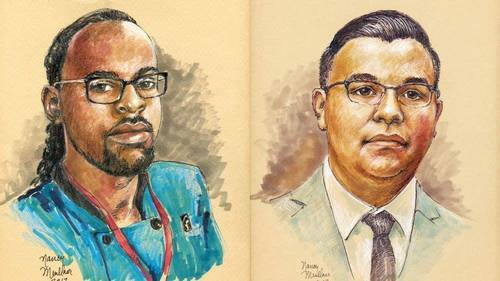 Updated 4:32 p.m. | Posted 12:05 a.m.
St. Paul -- Jurors weighing the fate of officer Jeronimo Yanez finished another day of work Thursday without a unanimous verdict on felony charges tied to Yanez’s shooting of Philando Castile. They're expected to return 8:30 a.m. Friday. Thursday was the quietest day so far in the trial, with little going on outside the courtroom beyond the activity of the three dozen or so reporters assembled in the hallway. On Wednesday, jurors indicated they've been unable to reach a unanimous verdict in the charges against Yanez: one count of second-degree manslaughter and two counts of felony dangerous discharge of a firearm. Ramsey County Judge William Leary sent them back Wednesday afternoon to deliberate more, reminding them of the instructions he'd given on Monday, when they began their work: "You should discuss the case with one another, and deliberate with a view toward reaching agreement, if you can do so without violating your individual judgment." When jurors indicate that they are unable to reach a decision, there are limited steps a judge can take. As deliberations continue in the trial of Jeronimo Yanez, here's what you need to know about juries. St. Paul -- A jury of seven men and five women is deciding the fate of the police officer who shot and killed Philando Castile at a traffic stop last summer. 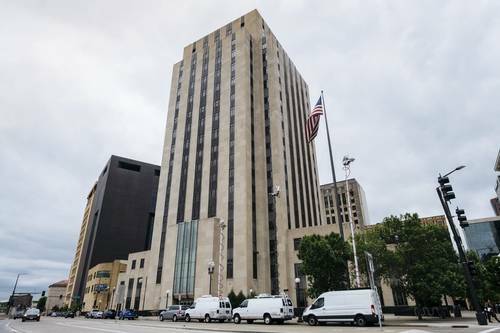 They're holed up in a room at the Ramsey County District Courthouse in downtown St. Paul as they deliberate the three charges: second-degree manslaughter and two counts of dangerous discharge of a firearm. Here is a snapshot of who's on that jury. While race came up again and again in juror questioning, the court is not allowed to ask about potential jurors' races. Ten of the 12 jurors appeared to be white, but it's unclear how any of the jurors identify racially. A millennial-aged black man who manages a Wendy's. During jury selection, he said he'd never picked up a gun. When asked about his experience with law enforcement, he said he hasn't had any. He said he has mixed feelings about the American criminal justice system and told the court that people with money and power seem to have a better chance at being found not guilty "in some cases." He told attorneys that he's aware of recent high-profile police shootings around the country and that police have shot unarmed men. "It's not every cop and it's not something you can put against every cop." A woman in her late 50s or early 60s who manages a gas station. The woman said she knew Maplewood Police Sgt. Joseph Bergeron, who was killed in his squad car in 2010 after an ambush shooting. He and his wife were regular customers at her store. She also shared with attorneys her views about protests on the streets, noting that she doesn't agree that people should block freeways because someone could get hurt. When pressed about her support for law enforcement, she said, "I'm glad they're there" and noted, "I respect them, but they also have to follow the law." A man in his 40s whose wife works for St. Paul Public Schools as a lunchroom worker. She didn't personally know Philando Castile, who was a cafeteria supervisor at St. Paul's J. J. Hill Montessori School, but knew of him and his story. The juror, who works in a metal finishing shop, said every time he'd hear opinions about the shooting one way or another, he'd stop people and say that the facts of the case weren't yet known. He also expressed his support for law enforcement, saying that he grew up respecting police officers. His nephew is a police officer in Alabama, and his father was a fire chief. During jury questioning, he said he would have trouble convicting someone in law enforcement. The juror owns four pistols. He took a permit to carry class and said he was taught to show the permit and show his hands, if was ever stopped by police. He also told the court that when he saw Diamond Reynolds' Facebook Live video, he thought she seemed more concerned about filming than about what was happening around her. "Not too concerned about (Castile) or the child in the back," he said. A man in his 50s who drives a medical transport van. He owns a firearm, is a hunter and has taken a firearms safety course. He said he knew a little about the case but hadn't followed it. A woman in her late 50s or early 60s who's been a nurse for over 30 years and is active in her church. She told the court her husband was once held up at gunpoint by three people who stole his car and fled to Chicago. She said law enforcement had always treated her kindly and sometimes even with humor. In talking about how she felt about law enforcement, she said, "There is respect there, but it can go beyond that." She added that she thought she could be unbiased and fair. During jury questioning, she said that, in her job as a long-term care night nurse, she often has to make quick, critical assessments. "If it's a split second, I have to make that decision," she said. A man in his late 30s or 40s who grew up in Colorado. He works as a health and wellness coach. The juror told the court during questioning that the American criminal justice system is "overtaxed by so many victimless offenses." He elaborated that he believes there are too many crimes involving drugs and prostitution that burden the system. The juror said he didn't know anything about this case. When asked about his knowledge of the effects of marijuana on people who smoke, he said that "they seem to be much more mellow." A woman in her 30s whose husband works with the gas station store manager who is also serving on the jury. This juror is a registered nurse in the same hospital system where Yanez's wife works, but she doesn't know her. When asked about her interactions with law enforcement, the woman said she experienced an incident about 20 years ago where she was dissatisfied with how the police responded. She saw Reynolds' livestream when the shooting happened and said she didn't form any conclusions of the shooting, adding that she had heard bits and pieces of information about a suspect reaching for a gun. "I wasn't there, so I don't know what happened," she told the court. "You can't go by what you hear on the media." An 18-year-old female college student of Ethiopian descent. She said she didn't know anything about the case and said she could follow the rules of the court. The defense argued that she didn't know anything about what it takes to serve on a jury. The judge disagreed, and said she seemed to be a smart young woman who's able to follow the rules. The defense challenged her abilities to serve on the jury twice, and were denied both times -- first when they requested to strike her with cause, and again when they attempted to strike her without cause during the peremptory challenge process toward the end. A woman in her 30s who does computer support for a living and is a CrossFit instructor. She said she didn't know anything about the case and said the criminal justice system "exists to protect." She said she'd like to take a firearms safety course someday, just for learning purposes, but that she stays away from guns. When asked about her views on firearms, she said, "I think everyone has the right to be able to protect themselves." A retired man in his 60s. He learned a bit about the case but said, "Whatever you see on the news you have to take with a grain of salt." He initially said he thought it'd be better off if he didn't serve on the jury, because of the time commitment, but later said he could be fair and unbiased. He owns a handgun. A man in his 40s who works in construction. He missed out on a big job while serving on this jury, but said it was his duty to serve and couldn't put it off. He's a hunter and owns a pistol. The juror told the court that, he once witnessed a drive-by shooting and said "it was an interesting exercise being a witness, all that you remember and you don't." He also said that Reynolds' livestream was not something he would have thought to do, had he been in that situation. He added that he thought Yanez's voice sounded upset in the video. A man in his late 30s who spent seven years teaching English abroad. He grew up in Dallas and said he's had positive experiences with law enforcement there. When asked about his experiences interacting with people of other racial backgrounds, he said his girlfriend is Hispanic and his son is half-Mexican. The juror recently took a permit-to-carry class, but has not applied for a permit and is not sure about whether he will buy a gun. The juror learned a lot about the case from listening to public radio news coverage of it, but said he hadn't come to a conclusion about the shooting. He's aware of the number of times Castile was pulled over, and said, "I think there is honestly a problem there with these minor offenses that can grow and become warrants." During discussions of the case with others before being called as a potential juror on this case, he said he would often say, "(Yanez) did not pull over the car with that intention." 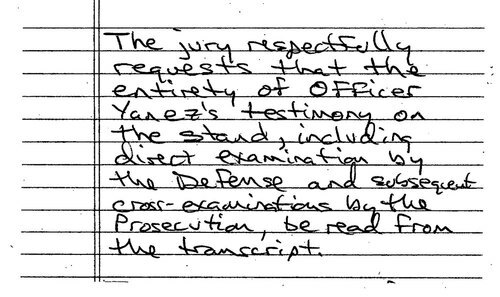 Updated 5 p.m. | Posted 12:05 a.m.
St. Paul -- Jurors on Friday found St. Anthony police officer Jeronimo Yanez not guilty on all counts tied to Yanez's shooting and killing motorist Philando Castile during a July traffic stop. Yanez had faced charges of second-degree manslaughter and dangerous discharge of a firearm, both felonies, in the shooting death of Castile, 32. He was the first Minnesota law enforcement officer to be charged with manslaughter for shooting and killing a citizen in the line of duty. The shooting set off protests and accusations of police brutality and racial injustice across the Twin Cities. Gov. Mark Dayton said after that incident that Castile, who was African-American, would likely not have been shot that night had he been white. The case was even more gripping because Castile's girlfriend, Diamond Reynolds, was in the car at the time and livestreamed the bloody aftermath on Facebook as Castile lay dying, while Reynolds' 4-year-old daughter sat in the back seat. The video and other evidence led Ramsey County Attorney John Choi to charge Yanez, a decision that came eight months after Hennepin County Attorney Mike Freeman declined to bring charges against Minneapolis police officers for shooting and killing a black man, Jamar Clark, during a November 2015 confrontation. Minnesota law justifies the use of deadly force by a police officer only when it's necessary to protect the officer or others from great bodily harm or death, and Yanez's use of force was not justified, Choi said in November. Yanez's trial began with jury selection on May 30, and moved into jury deliberations on Monday. The officer told the court that he was forced to shoot Castile after pulling him over on a Falcon Heights street because Castile was not complying with the officer's commands and was reaching for a gun. Yanez had previously testified he’d stopped Castile because the driver resembled a suspect in a local convenience store robbery. Shortly after the verdict was read on Friday, the city of St. Anthony said it's concluded that Yanez should no longer be part of the department. The city said it expects to offer Yanez a voluntary separation agreement with terms to be negotiated. Testimony during the trial centered on whether Yanez's response to use deadly force was warranted given the situation and given that Castile, a school cafeteria supervisor, had told the officer at the start that he was carrying a firearm. Yanez testified that Castile had started to pull the gun out of his pants, enough so that he could see part of the slide of the gun. "I didn't want to shoot Mr. Castile at all," Yanez said when he took the stand. "I thought I was going to die," he said, adding that images of his family rushed into his mind. "I had no other choice." Prosecutors, however, said Yanez, 29, never saw Castile’s gun, never told officers who responded to the scene or to his police dispatcher that there was a gun and shot recklessly, killing Castile. In the video Reynolds shot of the aftermath, a gravely wounded Castile can be heard saying, "I wasn't reaching for it." Exactly where the gun was and when became a crucial question. A Roseville police officer who came to the scene said the gun slid out of Castile's shorts pocket as Castile, gravely wounded, was being loaded onto backboard. A St. Paul paramedic testified that he saw an officer pat down Castile, then saw him reach "deep" into Castile's shorts pocket to remove the gun. Prosecutors during the trial argued that Yanez's early statements after he shot Castile show the officer was nervous -- and never saw Castile's gun. "Yanez was the only one in this entire case who says Castile pulled a gun from his pocket,” prosecutor Jeffrey Paulsen said last week, adding that Yanez was to blame for the incident and was "not the victim ... Everyone on both sides of this case agrees," Paulsen argued, "that being nervous is not a reason to shoot and kill someone." The jury consisted of seven men and five women. Ten appeared white. One woman and one man were black. After hours of deliberation, jurors had indicated earlier in the week that they were deadlocked on a verdict. 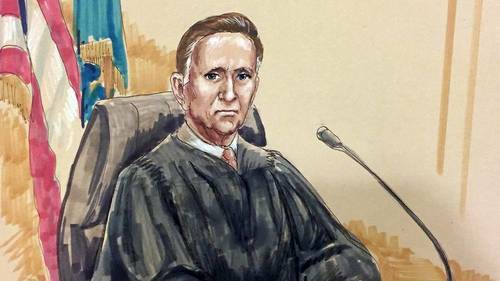 Judge William Leary pressed jurors to keep working. After the verdict came down just before 3 p.m., Castile's family ripped the outcome as unjust and racially tinged. "My son was murdered," Valerie Castile, Philando's mother, told reporters afterward, her voice choked with emotion. "Where on this planet do you tell the truth and be honest and still be murdered by the police in Minnesota ... nowhere in the world do you die from being honest and telling the truth." The judicial system continues "to fail black people" she said. "When they get done with us, they're coming for you, for you and all your interracial children. You all are next and you'll be standing up here fighting for justice just as well as I am." Jurors leaving the Ramsey County Courthouse after the verdict declined to speak. Yanez's defense team praised the jury's decision. Attorney Thomas Kelly said the case was litigated fairly, adding, "it's a tragedy all the way around." Reynolds on Friday said Castile was not reaching for his gun but was instead trying to get driver's license to comply with Yanez's commands. "It is a sad state of affairs when this type of criminal conduct is condoned simply because Yanez is a policeman," she wrote, adding, "God help America." After the verdict was read, Dayton issued a statement saying Castile's death "was a terrible tragedy, with devastating consequences for everyone involved. I will continue to do all I can to help our state heal." Sean Gormley, executive director of Law Enforcement Labor Services, Minnesota's largest law enforcement union, said the group agreed with the verdict. "Officer Yanez was forced to make an incredibly difficult decision on the evening of July 6th in a very short amount of time," he said in a statement. 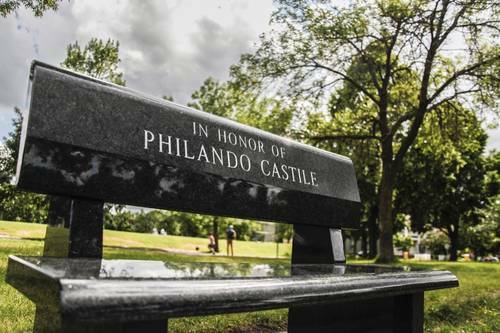 "He relied on his training and his experience to make that decision.For the family and friends of Philando Castile, we understand their lives have been changed forever." Choi on Friday called Yanez a decent person who "made a horrible mistake ... Our position throughout this case was that Philando Castile did nothing that justified the taking of his life." Castile, he added, was respectfully responding to the officer's commands to retrieve his driver's license when he was shot. He asked the public to respect the jury's decision and to stay peaceful "in the honor and memory" of Castile. Choi asked for the community to pray for Castile's family, adding: "They have suffered so much." The jury foreman submitted this note to the judge Friday morning. The judge denied their request. With two high-profile cases seemingly teetering on the brink of hung juries this week, you might think it happens quite often. But hung juries are actually relatively rare.